Madagascar Biodiversity Partnership works with communities on comprehensive research and conservation programming. Dr. Louis and Sheila Holmes collecting data from a lemur. 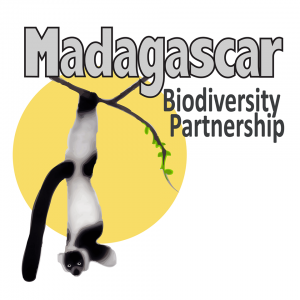 The Madagascar Biodiversity Partnership (MBP) was founded in 2010 by Dr. Edward E. Louis Jr., Director of Conservation Genetics at Omaha’s Henry Doorly Zoo and Aquarium (OHDZA) who has been working in Madagascar since 1998. The MBP strives to protect local forests for the lemurs while sustainably raising the standard of living for communities who are equally reliant upon the natural resources. Believing that everything is connected, or “Mampifandray ny tontolo”, the MBP incorporates research, education and community involvement to achieve sustainability. 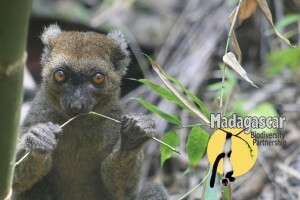 What Lemur Species does the Madagascar Biodiversity Project Protect? A baby Lepilemur septentrionalis being examined. The MBP is pioneering research on the northern sportive lemurs, whose populations are incredibly small (less than 50 individuals remaining) and who cannot be kept in captivity. In addition – and together with the Malagasy government – they have helped re-establish the diademed sifaka and the black-and-white ruffed lemur to their historical ranges in the Analamazoatra Special Reserve. These populations are now monitored by the MBP year-round. Finally, the MBP uses radio collars and other innovative technology to track lemur populations; this helps increase understanding of how different species use different types of habitat and how conservation programs can effectively protect lemurs in the future. Teaching planting techniques in rural Madagascar. How is MBP Protecting Habitat for Lemur Conservation? MBP is a leader in reforestation efforts in Madagascar, and undertakes programming in west (Andasibe, Kianjavato) and southern Madagascar (Lavavolo). 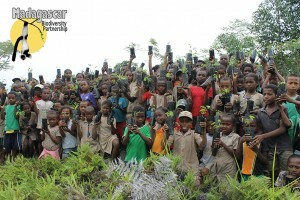 The MBP also undertakes reforestation initiatives in the areas where it is working to distribute fuel-efficient cook stoves in northern Madagascar. 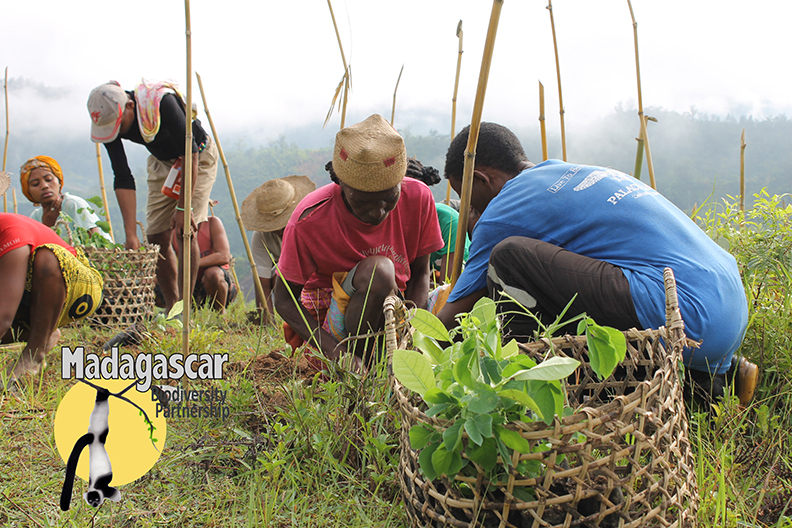 The MBP’s largest reforestation programming is based in Kianjavato and is called the Education Promoting Reforestation Project (EPRP). 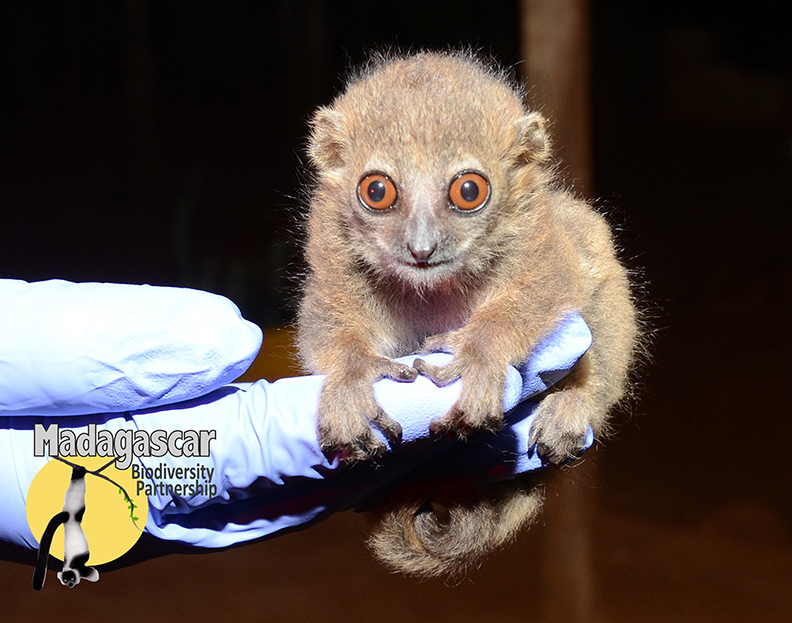 This program’s success is based on the fact that seeds which have passed through a lemur’s intestinal tract grow better than seeds that haven’t; by collecting the seeds in lemur poop, the MBP has been able to plant over 60,000 trees! Students from the Kianjavato public school students with trees. This program – and the associated community education and outreach efforts – have been so successful that they were featured on National Public Radio in the United States and in other media outlets worldwide. Moving forward, the MBP hopes to plant one million trees and restore Kianjavato’s fragmented forest landscape. A member of Single Mothers Club planting trees. Madagascar has a young and growing population that is increasingly reliant upon the country’s dwindling natural resources, which is compounded by their decreasing GDP. Despite the precarious conditions, there is room for hope. The MBP has initiated multiple community-based conservation efforts and development plans designed to rebalance the relationship between people and the ecosystem; many of their community outreach efforts are conducted together with Conservation Fusion. In partnership with the Omaha Henry Doorly Zoo and Aquarium and with Conservation Fusion, MBP is undertaking work to reduce the use of charcoal in some areas of Madagascar. Charcoal production – which causes large areas of forest to be cut down in Madagascar and is often unsustainable – is a big threat to lemur populations. MBP has distributed over 100 fuel-efficient cooking stoves and supplements these with hands-on education programs and reforestation initiatives. Aquaponics is a sustainable food production method that combines techniques used to raise fish for food and hydroponics methods for growing plants in liquid mediums. Properly balanced aquaponics systems can provide large amounts of food, which is important in areas of Madagascar where families are food insecure – meaning, in areas where families do not have access to the food that they need, when they need it. MBP – in partnership with a Omaha-based aquaponics nonprofit – is undertaking pilot programs which will help fine-tune the implementation of this type of equipment on-the-ground in Madagascar. Prolemur simus eating some bamboo. As part of the MBP’s ongoing research programs, over 50 Malagasy doctorate and graduate students, 30 Malagasy undergraduate students, and 10 international students have received considerable training in research methods and conservation paradigms. 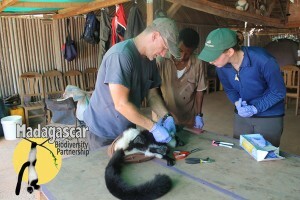 For example, through the MBP’s role in helping to re-establish lemur populations in the Analamazoatra Special Reserve, students and local communities have received training on how to monitor these new populations and how re-establishment programs must be designed in order to be successful. 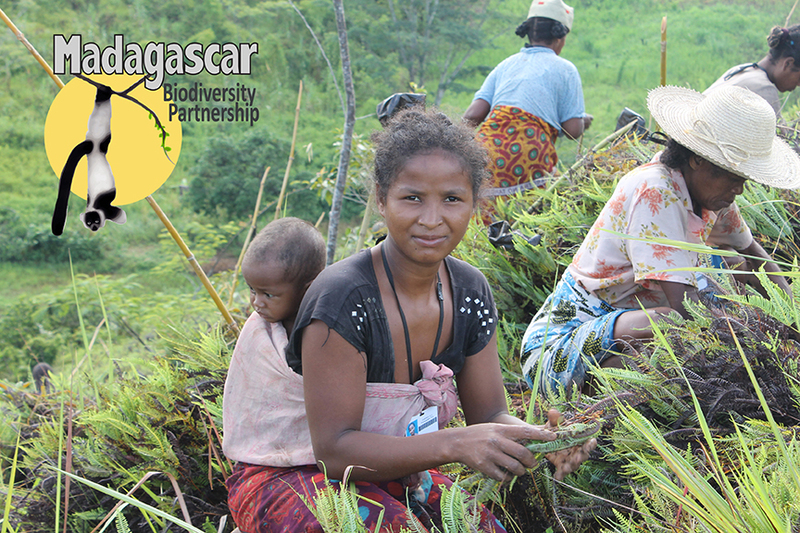 In addition, the MBP supports 80+ full-time Malagasy employees as field assistants, project supervisors, office employees, and supporting staff members. MBP is supported by the Omaha Henry's Doorly Zoo and Aquarium. Select "Madagascar Biodiversity Project" in the drop-down menu when you submit your donation.